Cr Kleinert has been a Councillor at Manningham since 2012. She is incredibly passionate and proud of the City. As a long-term resident of the municipality, Cr Kleinert completed her schooling in Manningham and is a strong advocate for youth in the community. She believes our youth are our future and it is important we support them, foster their development and provide the best opportunity for them to succeed. She is a current Patron of ABCD: Arts Building Children’s Dreams, an Ambassador for Scouts Australia, and has been actively involved as a workplace facilitator for Bully Zero Australia. Cr Kleinert is highly engaged with the community and embodies Council’s commitment to be known for its ability to listen and ensure it is in tune with issues at hand. As Manningham Mayor in 2016/17, Cr Kleinert led the charge in establishing a youth mental health outreach service with headspace Hawthorn, helping to raise more than $100,000 towards establishing a program for young people aged 12 to 25 in Manningham. 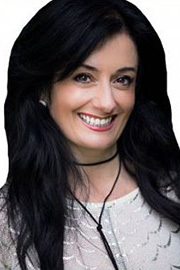 With a vivacious personality and a background in theatrical arts, Cr Kleinert is well-known for her ability to connect and engage with people of all ages. She believes our citizens are blessed to live in a beautiful City that has so much to offer, and strives to keep Manningham a place everyone can be proud of. Cr Kleinert is a member of Council’s Audit and Risk Committee and the Manningham Community Fund Grants Panel. A graduate of the Australian Institute of Company Directors (AICD), she is also President of the Australian Local Government Women’s Association (ALGWA) and Vice President of the Victorian Local Governance Association (VLGA).